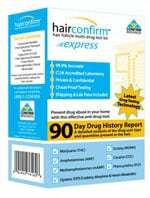 Add a Hair Testing Kit? Old Style Aloe Toxin Rid now comes in Testclear's own packaging - we buy in gallons, so now you get a full five ounces of gentle clarifying shampoo - multiple applications. Please Note: Old Style Aloe Toxin Rid's packaging bottle is 8 ounces; the shampoo will fill to slightly over half the bottle volume. Old Style Aloe Toxin Rid is the best support shampoo to help you pass a hair test. Ultra Clean is also a great pairing. These products offer different effects and work as a team, which is why both are recommended. Using Old Style Aloe Toxin Rid every day before your test and Ultra Clean Shampoo on the day that you need to be the cleanest puts you in the best possible position to remove your toxins fully. Use every day before your test, typically 3-10 days in advance. If you don't have that much time, take multiple showers a day as needed. During each washing let it stay lathered in your hair for 10 to 15 min. Make sure you use the shampoo at least 15 times before your test for the most effective results. We suggest using the shampoo it like this: normal shampoo, rinse > old style aloe toxin rid (dime sized portion), soak, rinse > regular conditioner. Focus on the scalp, where toxins are found - remove all those older layers of oil. This deep-cleaning formula will not harm the hair and delicately removes residual buildup, environmental pollutants, chemicals, chlorine, hard water minerals, and hair-dulling impurities using advanced microsphere technology to provide gradual release. 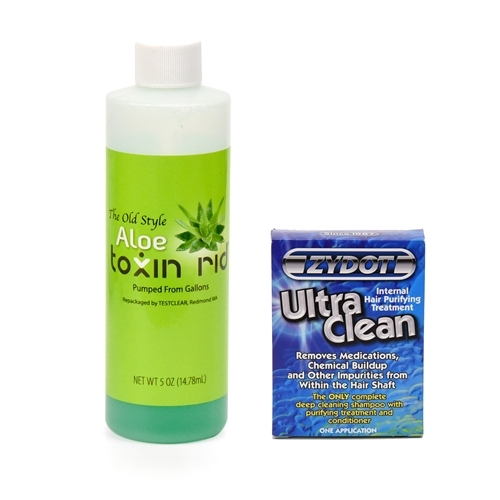 Highly recommended that you use the Ultra Clean with the Aloe Toxin Rid. An important tip is to wash or avoid any previously used items that have been in contact with your hair to avoid any accidental reintroduction of toxins. This can include pillow cases, hats, beanies, headbands, etc. Mored macujo method to the T, as well as with Aloe Rid 2 times a day. 13 combined washes until Wednesday. On Thursday morning, I used only the Aloe Rid (5) more times, each with 15-20 minute soak in. Lastly, I used Zydot exactly as directed 1 hour before my test. I was already 30+ days clean. UPDATE: Thank you, Thank you. Moreapplicants home due to weed and I was not one of them. Use these products as directed and pray!!!! It works! Moreto do the hair test and I was very nervous. I started to wash my hair Saturday, Sunday and Monday morning was my hair test. I think that if it had not been for the hand of God and this product I think I would never have passed this hair test. But yes I passed the drug test and now I have my new job which I feel very happy ... Thank you!!! Testclear sell the best product in the whole entire world. For this product it was worth the money I paid ... Will pay it again if I have too. Thank you!!!! TestClear!!! Morepromptness of the shipping!! 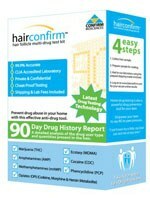 Update I passed my hair follicle test with lab Corp I took a pretest prior to taking my real test next week. I will come back and update but this stuff is awesome! I don’t smoke weed but I was taking percocets and dilaudid and my test results were negative!! Thank God! He gets the glory but I have to give test clear their 5+ stars! Thank you!! !